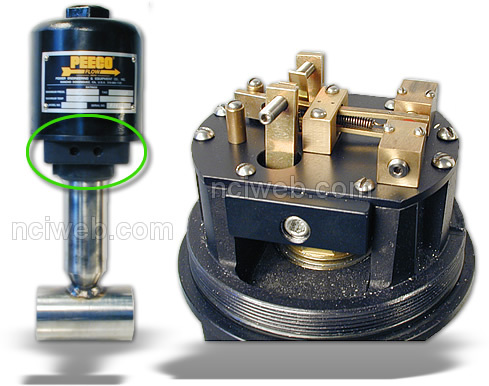 Where electrical contacts are not permitted or where pneumatic operation is preferred, use the PEECO Air Operated Flow Switch. Identical in function and specification to conventional Peeco Units. Available in explosion proof models only. Supply pressure: 3 to 20 psi or 20 to 125psi. Standard tubing connections: 1/8 - 27npt; 1/4 - 18npt optional.